Our graduates work at ExxonMobil, Ford Motor Company, Genesis Health System, NASA, Boeing Charleston, Deere & Company, Land O'Lakes, and others. Our rigorous, but rewarding, Industrial Engineering program gives you hands-on, real-world experience. You will be guided by an expert and engaged faculty and gain skills that make you a sought-after asset in the workforce. 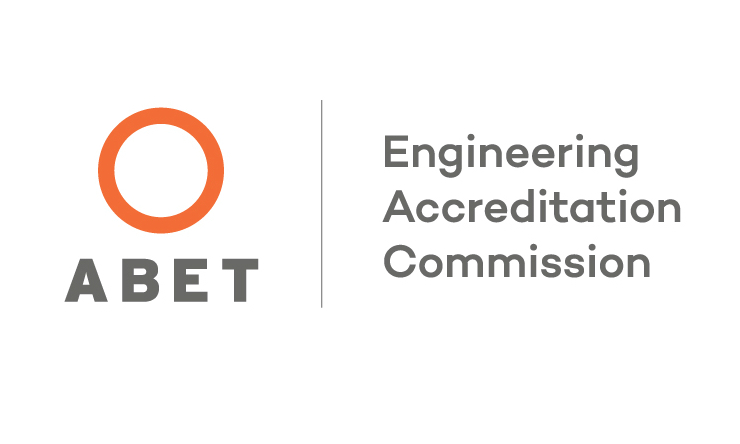 The St. Ambrose Industrial and Mechanical Engineering Programs are accredited by the Engineering Accreditation Commission of ABET (www.abet.org). Industrial Engineering is concerned with designing, evaluating, and improving systems. At St. Ambrose, our emphasis is on how humans fit into those systems to ensure safe and productive work. Courses include industrial design, materials science, engineering dynamics, work systems design, ergonomics, system integration, and operations planning, scheduling and control. The St. Ambrose Industrial Engineering Program is accredited by ABET, and we are the only university in the Quad Cities region that offers this degree. If you want to dual major in both Industrial and Mechanical Engineering, we offer that program, too. Full-time students generally earn the dual major in 4.5 years (or less), and we give part-time students up to eight years to complete any of the engineering programs. No matter what you choose, you will work closely with engaged faculty who give you a real-world education in and outside the classroom. 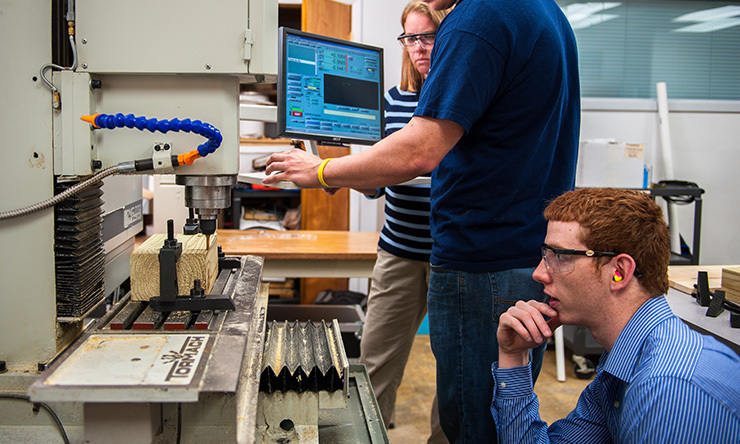 Why choose the SAU Engineering program? Our Liberal Arts focus makes us different than any other engineering school. Yes, you will learn the same math, science, and analytical skills here, but you will also learn to think critically, how to communicate, work in teams, and gain the ability to see how and where you fit into the greater world. These are assets regional and national employers are looking for in new hires, and they tell us that our students excel in those areas. That could be why 99% of our domestic students have a job lined up before they graduate. Enrollment in our engineering programs has grown from 50 students in 2009 to more than 150 this year. That is a lot of growth, yet we remain a small department committed to giving you personal attention. Our goal is to educate engineers, not conduct personal research projects. You will be taught by Ph.D.s, not T.A.s. Our engineering programs get high praise and support from regional employers, who offer internships, professional mentors, and job opportunities. Some even offer financial support to the university, allowing us to provide you with three floors of state-of-the-art labs. What kind of lab facilities are there? Our state-of-the-art Engineering and Physical Science Laboratories are in Hayes Hall and offer you all of the equipment and technology you need to build and apply what you are learning. Thermo-Fluids Laboratory where you can visualize, control, and test concepts in thermodynamics, fluid flow, and heat transfer, then apply that knowledge to design and build systems involving energy. Mechatronics Laboratory which serves as a collaborative learning classroom. Junior and senior level engineering courses that require specialized technology are issued laptops equipped with software, including ProE, Solidworks, ANSYS, PSpice, MatLab, and LabView. Machine Shop with fabrication facilities for woodworking, welding, milling (including CNC programming), 3D printing, and programming an industrial robot. If you complete the manufacturing course, you can use the facilities, under faculty/staff supervision, for academic-related projects. Computer and Prototyping Lab with a new 3D printer that extrudes plastic filament, creating a high-quality, customer-ready product. Engineering Computer Lab, which is open 24/7 for engineering students. You can use upgraded computers and monitors, and access the software you need for engineering-specific assignments and projects. Printing is free in the lab. All engineering faculty have offices in Hayes Hall and there is a small prototyping and student work room. What unique learning opportunities will I get at SAU? Internships: Through our extensive network of engineering alumni and companies across the country, you get on-the-job experience in a mandatory internship at leading manufacturers such as Deere & Company, the Rock Island Arsenal, Caterpillar and more. Design Experience: Enroll in junior and senior-level design courses and undertake a real project for a real customer, then present your work at an Engineering Showcase. Students have completed projects for local companies and even engineered ways to help people with disabilities lead more active lives. Engineering Club: The club hosts pizza and study nights throughout the year, members volunteer at events that promote engineering and community service, organizes tours of local companies, and participate in Quad Cities Engineering and Science Council events. Society of Women Engineers: Our official chapter of SWE focuses on professional development and outreach to youth. Our members go to area high schools and tell students about the opportunities that abound in STEM fields. We annually host Introduce a Girl to Engineering Night, and in the Spring of 2017, it garnered a crowd of more than 500 girls, ages 3-13, who learned about engineering through hands-on activities. Engineering Ambassadors: You, too, can represent S.A.U. 's Mechanical and Industrial Engineering programs. Ambassadors share their experiences as Ambrosians and members of the engineering program. They help with recruiting, retention, outreach, and industry relations for the Engineering and Physical Science Department. You can work in design, manufacturing, robotics, electrical systems, quality, process improvement, and in civil engineering for local, state and federal governments. The Bureau of Labor Statistics puts the median pay for industrial engineers at $84,310 and the field is growing (2016). In fact, 95% of S.A.U. engineering program graduates who pursue employment are working in the field. Many of our students are sought out by employers before they graduate, and 99% of domestic students have a job in place before they graduate. Samantha (Lee) Barkley '09 was a Fulbright Scholar and worked in an HIV/AIDS clinic in Trinidad and Tobago where she researched medical record processes and developed ways medical centers could provide better care. She is now a process engineer for ASEA Brown Boveri in St. Louis. Santiago Gonzalez '14 is the Chief Design Engineer for Frautschi and runs his own thriving business. Jeff Menke '99 is a Pella Windows senior engineer and recently designed custom windows for the Ambrose Hall renovation at SAU. Jeff Stebel '01 is a systems engineer for Dream Chaser Space, which supports NASA and the International Space Station. Many of our graduates seek advanced degrees, and have been admitted to programs at Southern Illinois University Medical School, Northern Illinois University, University of Florida, Bradley University and Oregon State University. No credit: ENGR 201 Engineering Service, ENGR 301 Engineering Participation, ENGR 401 Engineering Exit Survey. minimum of 32 credits in approved credits from ASTR, MATH, CHEM, PHYS, or BIO. one of the following: ME elective, PHYS 306 or 3 credits of IE 460, or 3 credits of ENGR 320. The Engineering Seminars (ENGR 201, 301, 401) are required for all engineering majors and should be taken by the time a student has completed approximately 50, 75, and 100 percent, respectively, of the engineering course requirements. A minimum GPA of 2.50 must be earned for all semester credits used to satisfy the course requirements shown above, a minimum GPA of 2.00 in all IE and ENGR  prefix course numbers, MATH 191 and 192, or their equivalents, must be completed with a grade of C or better. A minimum overall GPA of 2.00 must be earned in the combination of semester credits and attempted transfer credits. Students attending continuously on a part-time basis are expected to complete the requirements within eight years.